It’s pretty far away from any Disney theme park. And if you were planning a Disney vacation, probably San Francisco would be low on the list of places to go. But if you have the chance and you’re a fan of Walt Disney, you must come to this place to spend the day! Situated on the grounds of the Presidio, this unobtrusive building wouldn’t stand out at all if not for the banners hanging near the doorways letting you know you’ve arrived at the right place. Parking is plentiful and relatively inexpensive (especially for San Francisco) so you won’t have any troubles finding a space. The best part about it’s location is the atmosphere. Quiet and serene, it’s not unusual to see people walking their dogs or jogging around the grounds. The Golden Gate Bridge is nearby and in the museum you get a pretty spectacular view of the bay. It feels appropriate that the museum is here rather than in the midst of the glitz and glam of Hollywood. Although it was Hollywood (and Anaheim) that made him famous, this museum is dedicated to the man behind the castle. It’s a more personal story about his life, his accomplishments, his insights, and his desire to make the world a better place. Within the walls of the museum you’ll find an innovative and technologically advanced series of displays that take you from Walt’s early years through the sad news of his passing. But as you would expect from any Disney creation, it ends with hope and a celebration of the imagination within us. Each section of the museum is different and has very creative ways of telling Walt’s story, generally with Walt guiding the narration. Interviews, snippets, and narration by Walt himself are featured in every part and make you feel almost as if he was walking with you, and telling you about his life. You find out about his family life, his early aspirations, his early successes and even early failures. The Alice wall is particularly interesting. Celebrating Walt’s innovative and early use of technology to marry animation with live action, the Alice comedies were a hit and one wall features posters of those early comedies. But unlike other museums which would simply have the artwork of those posters, the posters themselves come alive and form a cohesive story. The whole place is like that, with exhibits that are different than you would find in a typical museum. From an interactive sound station that lets you create music, to a trivia game incorporating Disney songs, to a replica of a Moviola machine that both kids and adults can try. There is even an animatronic Tiki room bird that you can control! On top of that, you’ll see artifacts from Disney’s personal life including a room that houses some of the miniatures that Walt liked to both collect and create. Apparently, at one time he wanted to create a traveling exhibition of these miniatures called Disneylandia. There is even early sketches of Mickey Mouse Park, an amusement park that was set to be built across the street from the Walt Disney Studios in Burbank. 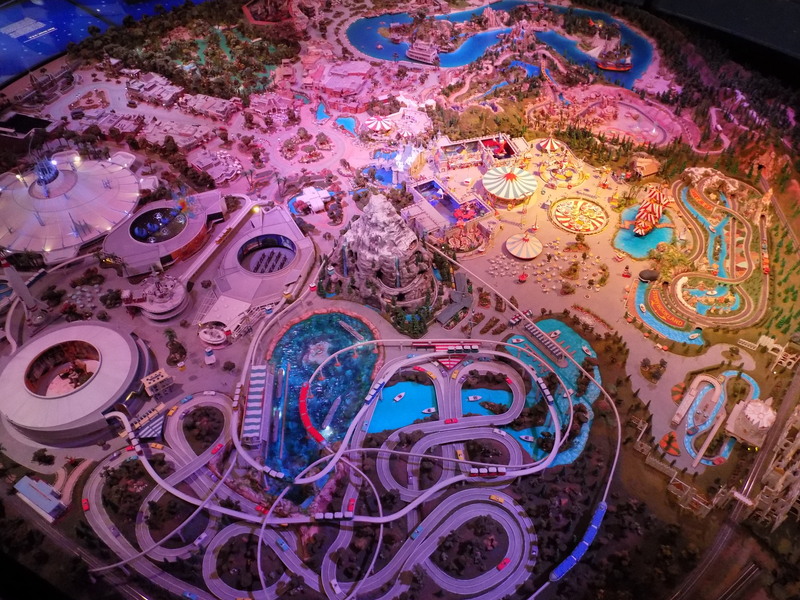 My absolute favorite piece was a giant miniature replica of Disneyland – but not any Disneyland from any particular time, but from what one cast member told me it was all of the different creations at Disneyland that Walt himself personally built or inspired. You’ll see the original Circlevision, the Peoplemover, the Skyway going through the Matterhorn, the old Mickey Mouse theater, Haunted Mansion and even Pirates of the Caribbean. It was fascinating! Different parts of the huge replica moved and spun and you could imagine Walt walking through there. The exhibit ends with a grand sweeping memorial to the life of Walt including pictures of newspapers and magazines from around the world honoring Walt’s passing. But the magic doesn’t end there. 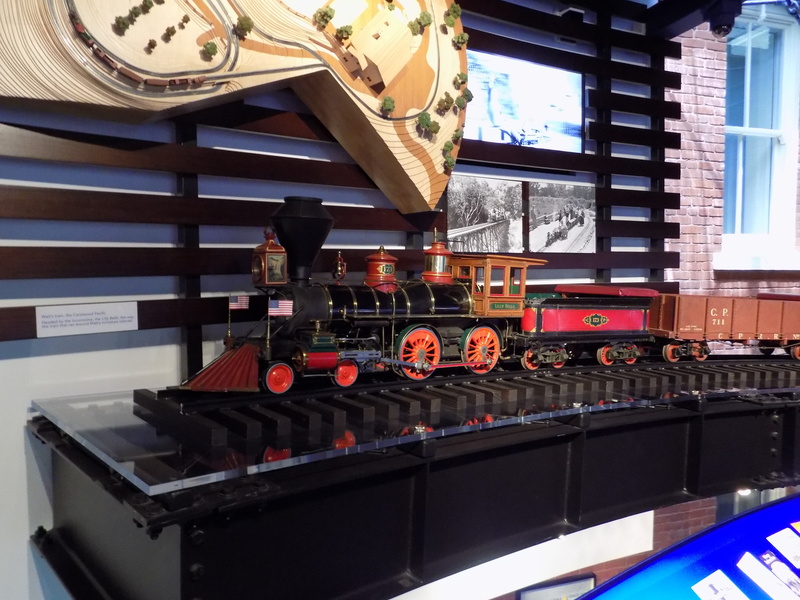 After exiting, you will find a beautiful museum store with not just souvenirs from your trip to this place, but other fascinating items linked to the history of Walt Disney (including a limited edition collection of train miniatures). There’s also a cafe serving quaint delicacies if you want something to nibble on and then downstairs there are more exhibits. When I went recently, there was an exhibition of photographs from George Hurrell (who has his own unique connection to Walt) and some artifacts and pieces from Mary Blair. As if that wasn’t enough, the museum hosts screenings of Disney classics in their theater, host talks and classes, an open studio workshop on weekends for both kids and adults, and even very popular summer camps! 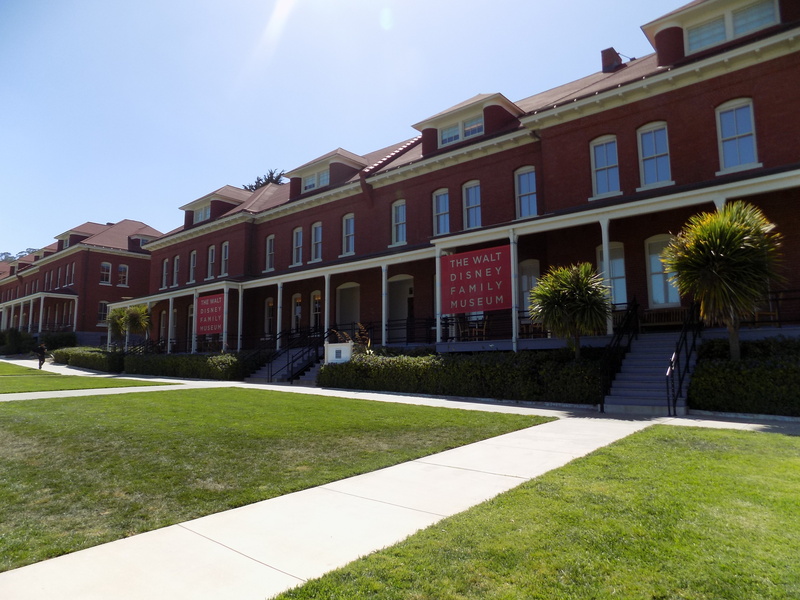 If you haven’t yet been to the Walt Disney Family Museum, its something you should definitely experience for yourself. You’ll have a great time doing it!